The same durable polyethylene reclosable bags with an added feature. 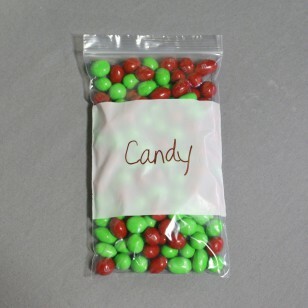 White block makes using a marker to label bags easy and eliminates the need for labels. Safe for use with many products including food. Easy to seal zip top keeps products fresh and safe.